Access to the We Get Around Network Forum Sample Forms Library is free for WGAN Forum Members. Simply contribute at least one of your business forms – any language – to the WGAN Forum Sample Forms Library to receive the password. 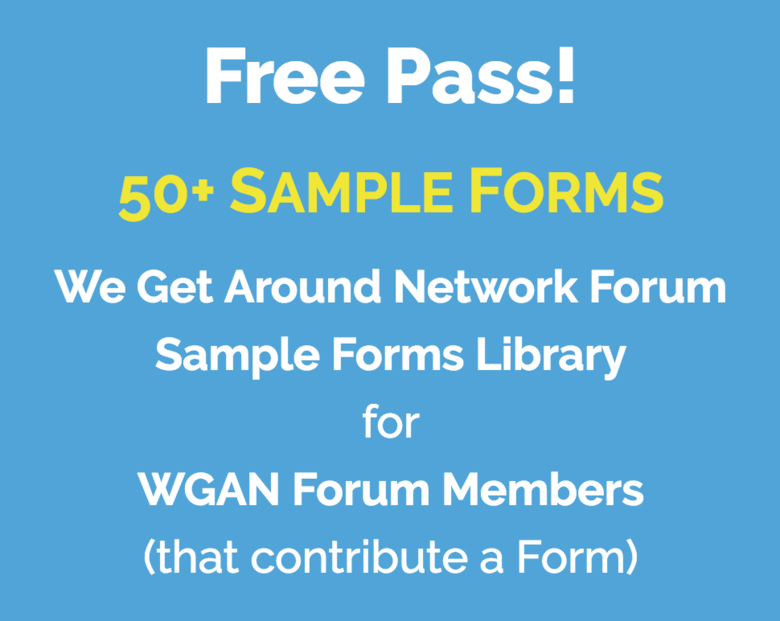 Please Private Message (PM) to say that you would like to email me one of your forms to get the password to the WGAN Forum Sample Forms Library.